May 10, 2017 Denver, Colorado – In a momentous victory for public charter school students and their families, Colorado became one of the first states in the nation today to provide public charter schools equitable access to locally-raised tax revenue – funds which all public school students are entitled to. 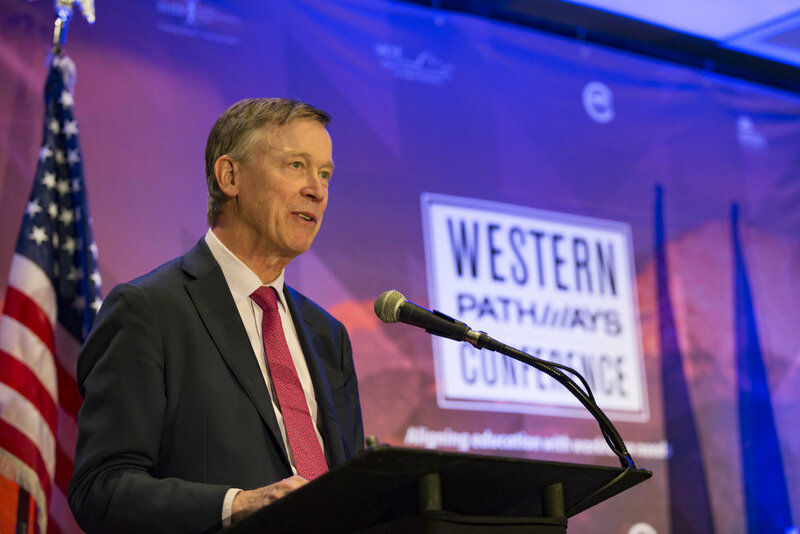 “Over the last 24 years, public charter schools have become part of the fabric of Colorado’s education system – educating thousands of students statewide and delivering impressive results for kids. This measure will level the playing field for public charter students and help ensure every child receives the best possible education at the school of their choosing,” said Laband. “Let’s be clear, addressing the funding inequities faced by public charter schools is about kids – not the misinformation and politics that some want to use to distort the issue. The business community applauds the General Assembly for putting politics aside and putting kids first,” added Laband. Colorado charter schools are tuition-free public schools that are open to all students. Colorado charters schools serve a population that mirrors the diversity of traditional schools. Colorado charter schools are held accountable for student performance just like traditional schools. In fact, charters are often held accountable to additional performance metrics agreed to in their local district contract. Colorado charter schools are among some of the highest performing in the state. Recent research found that, of Colorado’s schools that are high-performing and serve a majority of low-income students, over 70 percent are charter schools. If combined into one district, Colorado charter schools would be the largest in the state and serve nearly 115,000 students. Thanks to the tremendous leadership of HB-1375’s bipartisan sponsors - Senator Owen Hill, Senator Angela Williams, Representative Brittany Pettersen, and Representative Lang Sias - Colorado is one of the first states in the nation to ensure equitable funding for public charter schools. 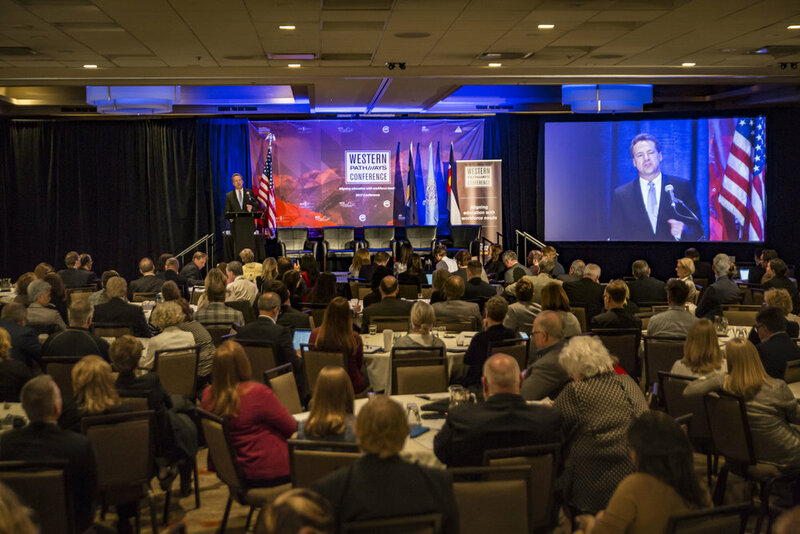 Colorado Succeeds is a 501(c)3 nonprofit, nonpartisan coalition of Colorado’s business leaders who join forces to ensure our education system works better and smarter for all people of Colorado. We believe Colorado is the best place to live and work, and we want it to stay that way. This great state can only continue its tradition of excellence when all of our children are educated to their greatest potential and all of our businesses have the talented and innovative workforce they need to thrive. We believe great schools are good business. We know when Colorado schools improve, everybody wins. Learn more: www.coloradosucceeds.org. 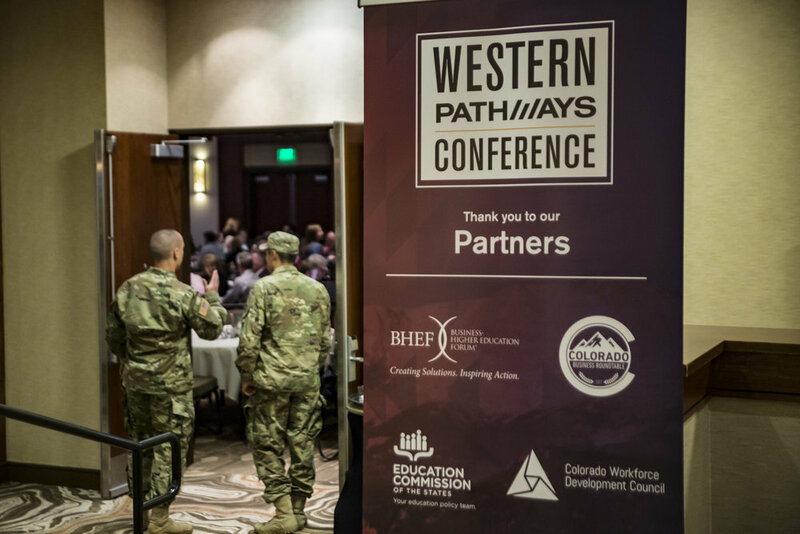 Congratulations and thank you to everyone who contributed to making the 2017 Western Pathways Conference in Denver a success. 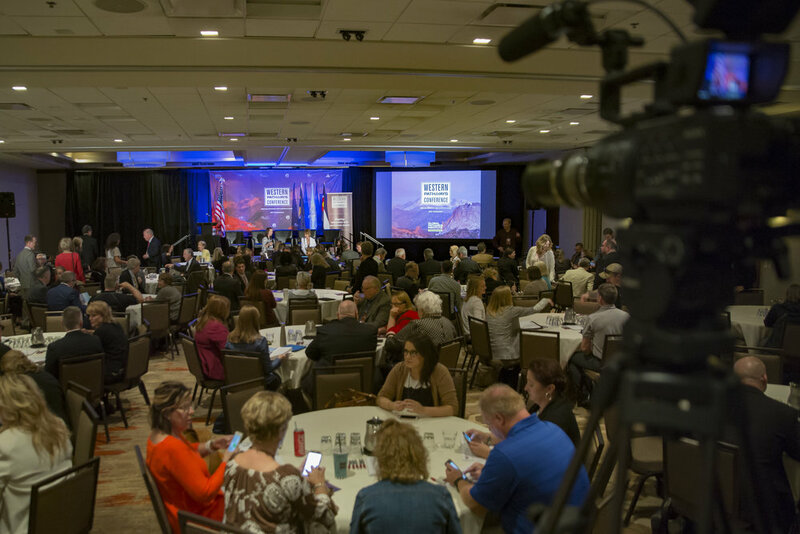 Over 350+ people spoke at and attended the conference's events, exploring new educational options and workforce development opportunities. Colorado Business Roundtable was honored to be a part of helping everyone make the event possible. Thanks again to everyone that made this possible. It wasn't all that long ago that "college for all" was the all-too-frequently repeated mantra prescribed to universally improve students' career options and improve the skills available to companies. It sounds like a good idea, so it's easy to see why that has been a concept to rally behind. However, public policy economics is never so simple. In looking at the data and the actual results of various policies around the country, it is becoming ever more clear that this overly-simple approach has not been working for everyone. A new approach is needed to develop career pathways and a talented workforce. While classic university degrees are still important and have their roles, many students today are coming out of the educational system in large amounts of debt and are unemployed -- or severely underemployed. Companies too are often finding themselves unable to fill good-paying jobs because of the lack of skills in the workforce. And while this mismatch is currently a problem, there are boundless opportunities in applying better solutions. 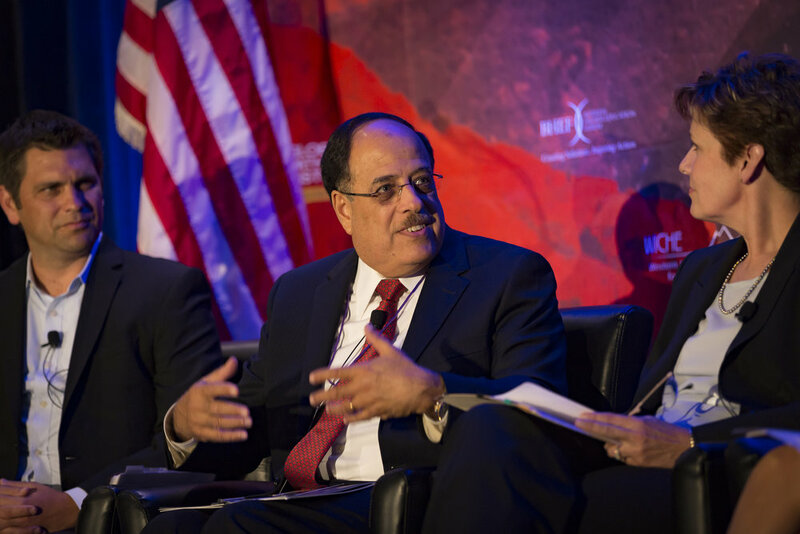 The conference covered all sorts of perspectives from academia, business, and government. Through applying the lessons learned, attendees appear to be optimistic about the prospects of better serving students and companies. Opening up educational options and partnering closer with employers to teach the skills needed seems to be the answer. 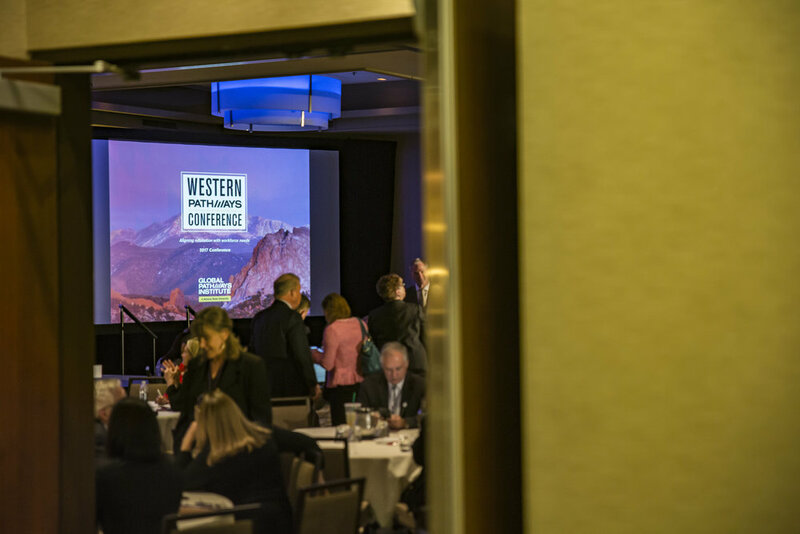 From corporate training initiatives, to apprenticeships, to nimble niche-based entrepreneurial training courses, the Western Pathways Conference explored these best-practice concepts that are showing success. One of the speakers, LinkedIn co-founder Allen Blue, brought some interesting numbers from their professional social network's economic graph research. According to that data, the largest gaps here in Denver between companies hiring for jobs and candidates having the matchings qualifications appear to be in 1.) Health Care, 2.) Advanced Manufacturing, and 3.) Information Technologies. What do leaders of some of America’s largest and most successful corporations think about ethical standards in corporate America today? Do guidelines for ethical behavior within an organization really matter? Does having ethical standards change or alter “business as usual”? Are they meaningful in today’s business environment? A great deal of reportage, editorial opinion, and commentary on the blogosphere has decried the current state of business ethics and ethical leadership. But we have not heard much from the business community itself on the topic. So far it has been a one way broadcast. Helps advance the case for high standards of ethical leadership in business. Gives a voice to the seasoned perspectives of those who lead our business institutions day-to-day. Provides a platform for corporate leaders to assess the state of ethical leadership in business today. Provides a forum to exchange ideas on the effective development of ethical leadership in business. Elevate Ethics featured senior executives from leading corporations based in the Denver area. 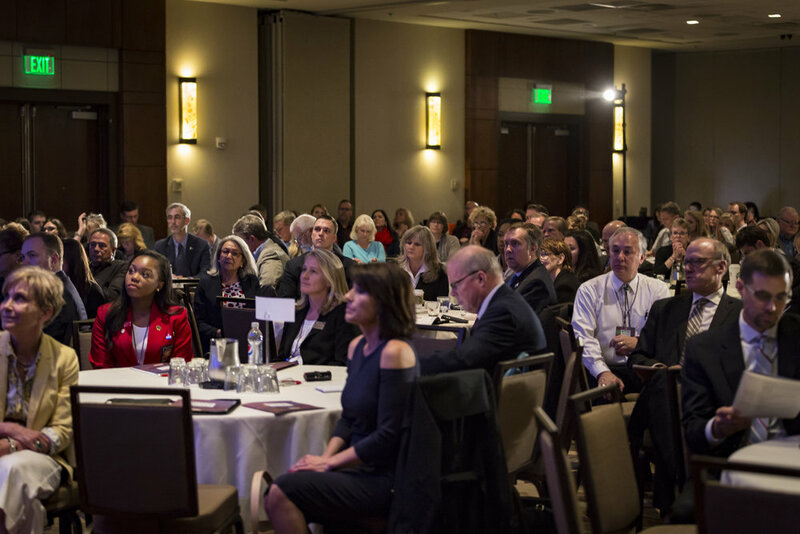 The live audience of 150 included senior business executives and independent corporate directors, senior University of Denver officials and trustees, selected University of Denver alumni and supporters and Daniels College of Business faculty and students. Live video streaming through Level 3 Communications’ global IP network enabled participation by a national and international audience. Elevate Ethics was held in the Reiman Theater on the University of Denver campus on April 26, 2017, between 6:00 and 7:30 p.m. MDT. It was followed by a reception for special guests and catered dinner for the participants and major sponsors. Publicly promote ethical leadership practices. Associate their brand with an important cause in main street America - ethical leadership in business. Be seen as a leader in the dialogue on an important issue facing American business today. Link their brand to the very respected brands of the University of Denver and the Daniels College of Business. Achieve exposure of their support for ethical leadership on a global basis. To learn more about opportunities to be a sponsor of the Elevate Ethics Dialogue, please contact Dan Sweeney, Director of the Institute for Enterprise Ethics at Daniel.Sweeney@du.edu, or at (303) 871-3448. Adam Vasquez, CEO of Sacunas, presented recent research findings and offered insights into how the millenial business buyer is changing B2B sales & marketing. Metro State Hospitality Center hosted the first convening of the new Business, Education Coalition. Dr. Stephen Jordan welcomed coalition state leads, Colorado Community College System, Colorado Succeeds, MBAResearch and the Colorado Business Roundtable, as well as leaders from University of Colorado, Pikes Peak Community College, Robin Wise, CEO of Junior Achievement Rocky Mountain (and COBRT Inner Circle Member), Frannie Matthews from IBM (COBRT Inner Circle Member) and other business leaders. The focus of the coalition to align the importance of education, our economic future and the success of all of our students. Business leaders all across this great nation are engaging with educators to drive continuous improvement. If you missed this first meeting, we are having a second meeting in Colorado Springs on April 5th at the Colorado Springs Chamber of Commerce & EDC. We are looking for business and industry representatives to share their expertise with education researchers and curriculum developers for high-school level courses in business administration. We are not soliciting your financial support; however, we are interested in your knowledge and experience as business professionals. This is an opportunity for you to help build a strong business education program in Colorado and across the country. We would like for you to learn more about this exciting opportunity and how you can play a role in shaping the coursework that Colorado students will experience. Please RSVP to Laurie Urich at UrichL@MBAResearch.org by March 10th In advance, we appreciate your support and hope that you or your designee will be able to join us. 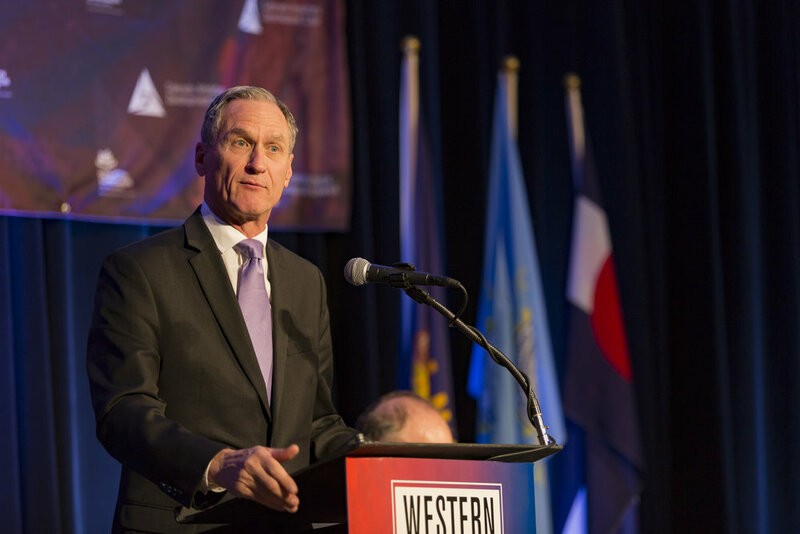 Colorado business leaders understand education is critical to our economic future and the success of all our students. Business leaders all across this great nation are engaging with educators to drive continuous improvement. We are excited to share with you a local opportunity to participate in this effort. We are looking for business and industry representatives to share their expertise with education researchers and curriculum developers for high-school level courses in business administration. We are not soliciting your financial support; however, we are interested in your knowledge and experience as business professionals. This is an opportunity for you to help build a strong business education program in Colorado and across the country. We are hosting three (3) breakfasts for your convenience. Each breakfast will be similar in content so there is no need to attend more than the one that is most convenient for you. We would like for you to learn more about this exciting opportunity and how you can play a role in shaping the coursework that Colorado students will experience. If you are unable to join us, we would appreciate if you would invite someone from your office to represent your organization. Each meeting will begin at 7:30 a.m. with a networking session, and then the actual breakfast meeting will start at 7:45-9:00 a.m. Please RSVP to Laurie Urich at UrichL@MBAResearch.org by Friday, March 10, 2017 and be sure to let her know which meeting you are attending. In advance, we appreciate your support and hope that you or your designee will be able to join us. Thank you to all our partners and attendees who made Manufacturing Matters such a notable event. It was held on January 25, 2017 at ICOSA Event Center. Lt. Gov. Donna Lynne officially proclaimed the date as "Dream It Do It Colorado Day" in honor of the Dream It Do It Colorado statewide manufacturing coalition. Partners included Colorado Community College System, Colorado Workforce Development Council, Manufacturer's Edge and Women in Manufacturing. 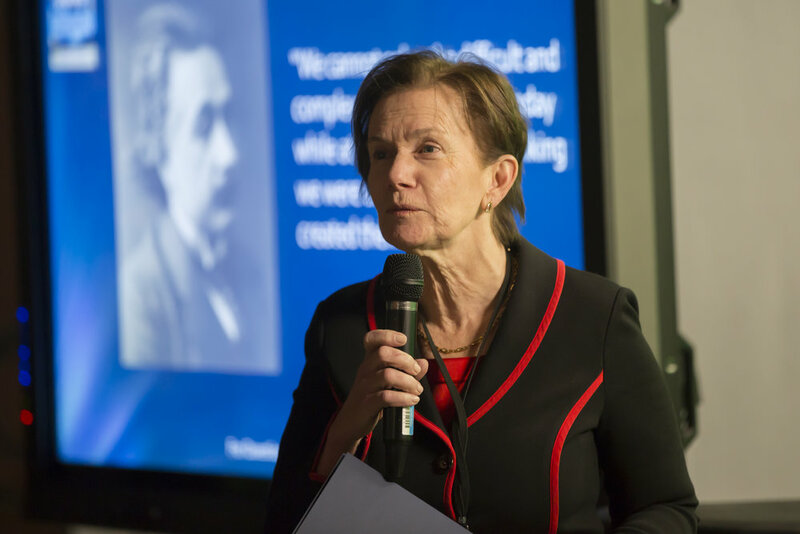 Manufacturing Matters also marked the first event in our Author's Series. 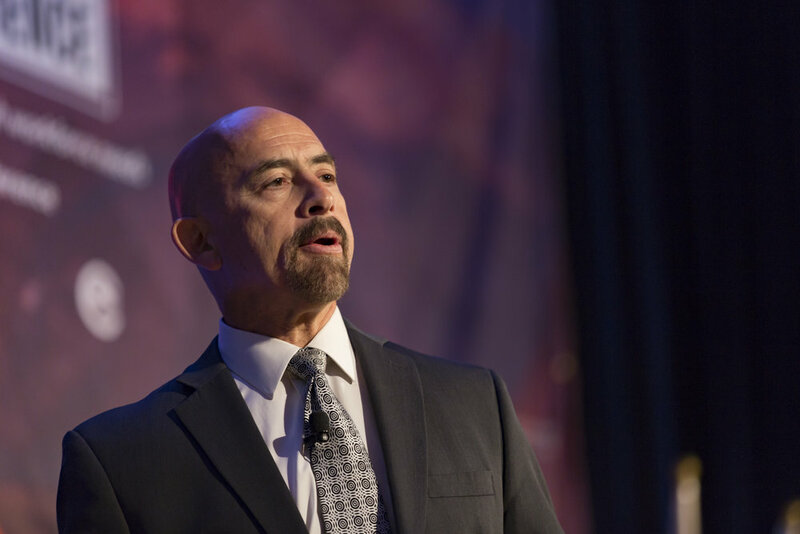 Alvaro E. Espinosa, co-author of Fixing What Already Works: How to Make Good Organizations Great, spoke about how principles he learned in manufacturing can be applied to any operation to improve business. During the event, Connect & Collaborate did a live streaming radio show as well. Click here to read, listen, and watch! You can also check out the official Proclamation of Dream It Do It Colorado Day. Dream It Do It Colorado (DIDICO) will hold another event this year and be involved with the Manufacturing Day initiative. Sign up for the DIDICO newsletter to stay in the loop. Although employers often have different opinions on workforce issues, research shows that they agree on one thing: the importance of an educated workforce. The question, however, is the definition of the word educated. In previous generations, formal education often halted when an individual found employment, with subsequent education gained through work experience. Due to advancements in technology, however, the traditional educational model is increasingly under attack over its ability to effectively help businesses to remain competitive. Today’s businesses need individuals with specific, up-to-date, relevant skills for their positions. One solution to this need is stackable credentials, which allows employers to find or maintain specific skillsets in their organizations. These short term programs also help employees enhance their value across a wide spectrum of industries and experience levels. Stackable credentials refer to an accumulation of academically-based qualifications that provide verification of a small, defined set of skills and abilities. These targeted credentials can help job seekers be highly desirable to employers as they seek higher paying jobs or transitions to new roles. For example, a computer programmer might seek a certification in cyber security to obtain a more specialized role within her organization. Such credentials, when later stacked onto other credentials, can also help holders to obtain a credential on the path to a full degree. For job seekers or employees, stackable credentials are valuable investments that can increase their market competitiveness and provide a tangible return-on-investment. For employers, as technology continues to advance, identifying employees with specific skillsets will become increasingly important. In order to maintain competitiveness, employers will benefit from both investing in the upskilling of current employees, and hiring employees that understand the value of lifelong learning and demonstration of knowledge through programs that include stackable certificates. It is clear that the increasing scarcity of time and money driven by technology and globalization has necessitated change in many things in our world today. This change now includes formal education, making it an exciting time to be experiencing a broadening of opportunities for both employer and job seeker success. Colorado State University-Global offers stackable credentials through 100% online certificate programs. For more information on how you, or your employees, can take advantage of these programs, visit csuglobal.edu/undergraduate/certificates. We know better, we really do. We live in an age of explanation, where telephones have become powerful portable computers and we track every second of a satellite's journey through space. There's no rational reason for Friday the 13th to be any more or less fortunate than the other 364 days in a year. Yet, many people still approach the date with apprehension, if not dread. This can have a dramatic toll on companies. Superstitious or not, the impact of this calendar setting is palpable. According to CNBC, "The Stress Management Center and Phobia Institute estimates between $700 million and $800 million are lost every Friday the 13th because of people's refusal to travel, purchase major items or conduct business." Other estimates even put that at $900 million lost on Friday the 13th. Friday, October 13, 1989 was a particularly difficult day for business. The Telegraph reports how, on "a day that is now often referred to as Black Friday, the failed $6.75bn buyout deal for United Airlines’ parent company sent global markets plunging." Another fateful Friday the 13th was in October 2012 when the Costa Concordia cruise liner ran aground off the Italian coast, killing 32 passengers and crew plus one salvage member. If the date itself doesn't send shivers down your spine, The Daily Mail shared these eerie photos of the sunken ship. Those are disasters for large companies, but Quickbooks Intuit explains how small businesses are greatly affected by the date as well. Fear of Friday the 13th even has a name: friggatriskaidekaphobia. This year, 2017, offers two chances to test the date. Our next Friday the 13th is in October. Has your business ever been impacted by Friday the 13th? Are your employees or colleagues wearing garlic around their necks or avoiding travel today? Maybe you've had a very fortunate day so far! We'd love to hear about it in the comments below. As a female in a heavily male-dominated industry, I am always excited to see the impact we can make as a group by supporting and empowering one another. By building a strong network of support, women can achieve success both in business ownership and through growth within large organizations. Currently, only 14.6 percent of senior executive positions are held by women. Among senior women executives, 10 percent say they had the aid of four or more executives in helping them advance, compared to their male counterparts at 17 percent. Yet more than half of the senior women acknowledged that it is important to have support from higher-level seniors in order to advance. Women must embrace the power of networking. Leadership today is no longer just about the results you produce. Your ability to connect with others, how you incorporate perspectives and navigate groups proves just as important. Explore the networking opportunities within your company. Often times, larger companies have established internal groups dedicated to helping female employees build their Rolodex of connections. If not, I encourage you to start one – not only will that show your superiors that you’re taking charge, but you’ll also provide a new resource for your colleagues. Networking is also beneficial to women business owners. Women currently own 36 percent of all businesses – a jump of 30 percent from 2007. Learning best practices from other business leaders helps to you grow your own business. It not only allows women to see examples of success and failure but also get to know others in a wider variety of industries to help foster deeper business relationships. By fostering a strong network of women, we are able to access a treasure chest of resources and tools that can help women in need from all walks of life to improve their situations and position themselves for success. Shelley Ford is a Financial Advisor with the Pelican Bay Group at Morgan Stanley in Denver. She can be reached at 303-572-4839 or Shelley.Ford@morganstanley.com. Denver, Colorado – The Colorado Education Initiative’s (CEI) board of trustees is pleased to announce the appointment of the organization’s new President & CEO, Rebecca Holmes, who joins the CEI team in January 2017. Starting her education career as a teacher in Denver’s Cole neighborhood, Holmes is a proud alumna of Colorado’s public schools, a graduate of Yale University, and holds an MBA from Harvard Business School. 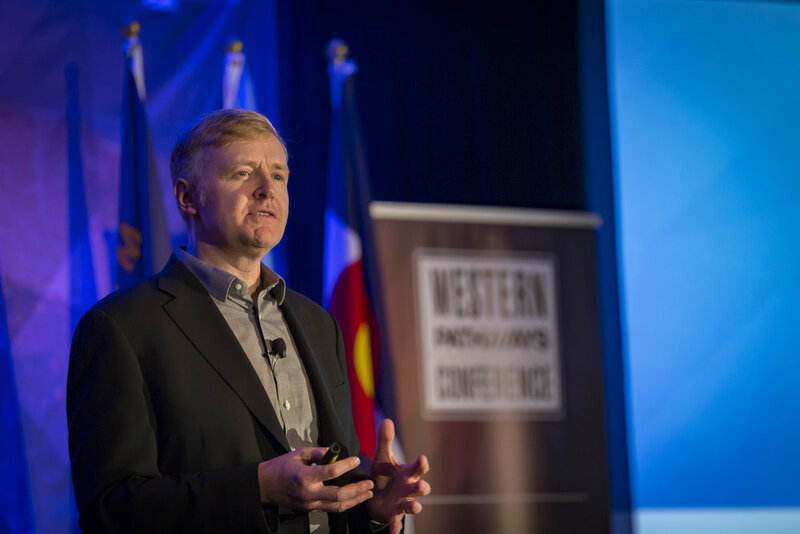 Holmes brings an extensive background in K-12 education and organization leadership to guide the next chapter in CEI’s development and has held several leadership positions in Colorado education focused on innovation and student outcomes. 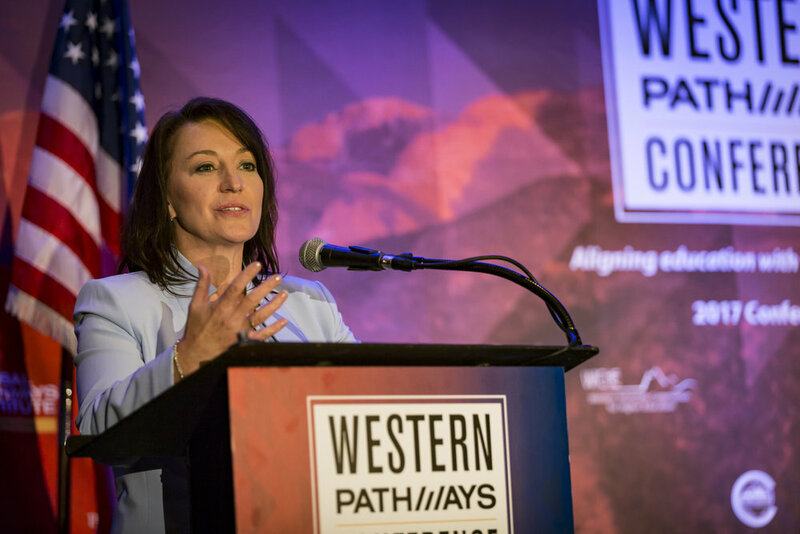 She has also worked for several Colorado philanthropic foundations and has private-sector experience with Deloitte Consulting — where she worked with a variety of clients on change management, talent strategies, and organizational design. Holmes leaves the local Gates Family Foundation as their Senior Program Officer for Education to join CEI’s team and was previously at the Colorado Department of Education (CDE) as the Associate Commissioner for Innovation, Choice, and Engagement. Prior to CDE, Holmes served as the CEO of a public charter school network serving over 90 percent low-income students. Currently, women are earning an average of $11,000 less than their male counterparts – with the gender wage gap only increasing as we age. If we want to eliminate that gap, then negotiation will be imperative. However, studies have found that while 50 percent of men are more likely to negotiate their salaries, only 1 in 8 women do the same. Perhaps their apprehension derives from a lack of confidence or a lack of know how. Here are some tips that may help women be more successful negotiators. • Have a clear idea of your goals and what you want to see accomplished through the discussion. Know who you’re negotiating with and know what they want. • Research statistics that will help your case, such as how much your industry typically pays for a similar role. • Build your confidence by practicing. Start small, try negotiating for a better price at a garage sale. • View the situation from the other’s perspective. Negotiate using their needs and state how they stand to benefit by proposing a win-win proposition. • Reach out to a mentor if you have one. They will be great source for advice as they would have likely experienced a similar situation in their own careers. • Use language that firmly gets your point across, such as “this will be one of the few times that you and I are at the opposite ends of the table.” Don’t be tempted to fill the periods of silence during a negotiation. • If you need to calm down, ask the other person to clarify what they’re saying to give you some time to pull yourself together. While the gap between men's and women's earnings has been steadily narrowing in the last decade, full wage equality has yet to be achieved. It’s time for us to take some control over our financial future. With more understanding and self-awareness, we can work to close the gender wage gap. There is a pipeline problem in Colorado. The kind that sends natural resources to industry, and contributes to our competitiveness as a state. We’re talking about the talent pipeline, which is vitally important to our success. Many different groups have addressed this issue, from the Colorado Legislature to local nonprofits. A venture that is gaining momentum, CareerWise Colorado, recently led a delegation to Zurich, Switzerland to investigate the Swiss model of apprenticeships and higher education, with the hopes of bringing best practices to Colorado. A forthcoming collaborator on the initiative is Colorado State University-Global Campus (CSU-Global), a 100% online state university. 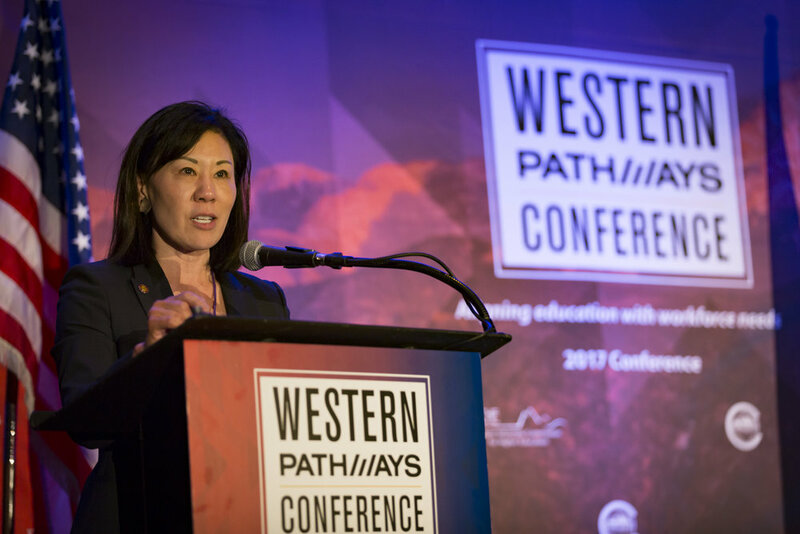 Dr. Becky Takeda-Tinker, president and CEO of CSU-Global, participated in the CareerWise Colorado’s apprenticeship delegation to Switzerland. The delegation, which brought together education, government, business, and policy experts, visited industry associations, apprenticeships sites, schools, and training centers. CareerWise Colorado is a nonprofit organization that seeks to utilize the Swiss apprenticeship model as inspiration for a collaborative skill gap solution that unites the business and education community. For CSU-Global, this mission aligns with the university’s commitment to workplace success through education for modern learners. “It is vitally important that students, particularly Generation Z, see the applicability of their schoolwork in the workplace. By encouraging students to pursue internships or apprenticeships that are integrated with their formal education leading to a bachelor’s degree, this initiative is an important step toward expanding opportunity to engage students who might otherwise be left on the sidelines of higher education,” said Takeda-Tinker. In addition to CSU-Global’s potential participation, the University of Colorado and the Colorado Community College System are reviewing the opportunity as well. "Investing in Gender Diversity" is Part 1 of a three-part print series from Shelley Ford, financial advisor with Morgan Stanley in Denver, on the role of women in business. Stay tuned for Parts 2 and 3! Gender diversity in the workplace has always been a hot button issue among the media and public. Arguments for more female participation in the workplace and in senior positions are often founded on the principle of equality. However, many forget that that a better balance of men and women in the workplace can also deliver an improved bottom line. Gender diversity in the workplace is not just the promotion of one gender over the other. It is about how a balanced representation and inclusion among genders can broaden perspectives and drive value. Morgan Stanley research shows that companies with higher levels of gender diversity have moderately outperformed their low diversity or sector peers on average in the past five years. Furthermore, a recent Harvard Business Review study also found that there is no meaningful difference in performance between women and men-led start-ups when financing is provided by venture capital firms with female partners. Recent trends show that investors are becoming more likely to invest in companies that align with their values. No longer do investors that seek to create social good need to accept unattractive returns. If gender diversity is an issue you care about, consider investments in companies with greater representation of women on Boards of Directors and in senior leadership, and in funds focused on women’s healthcare solutions or increasing access to capital for women entrepreneurs in developing companies. From gender equality to environmental concerns, investing in organizations that are consistent with your personal belief can sometimes help drive positive change - while still realizing financial returns. Explore options with your financial professional that will help you invest with your values without sacrificing your long term financial plan. With states increasing their focus on supporting successful educational outcomes for students and developing strategies to meet workforce demands, examining data that connects from a student’s early education years to their postsecondary education can allow states to analyze the data in a different and more complex way. However, the structure of data systems and the policies regarding these systems can vary from state to state, with some states not yet having established a Statewide Longitudinal Data System (SLDS). This new 50-State Comparison: Statewide Longitudinal Data Systems from Education Commission of the States provides a national comparison of how all 50 states plus Washington, D.C., approach policies related to SLDS. All 50 states plus Washington D.C., have the ability to connect data between systems. 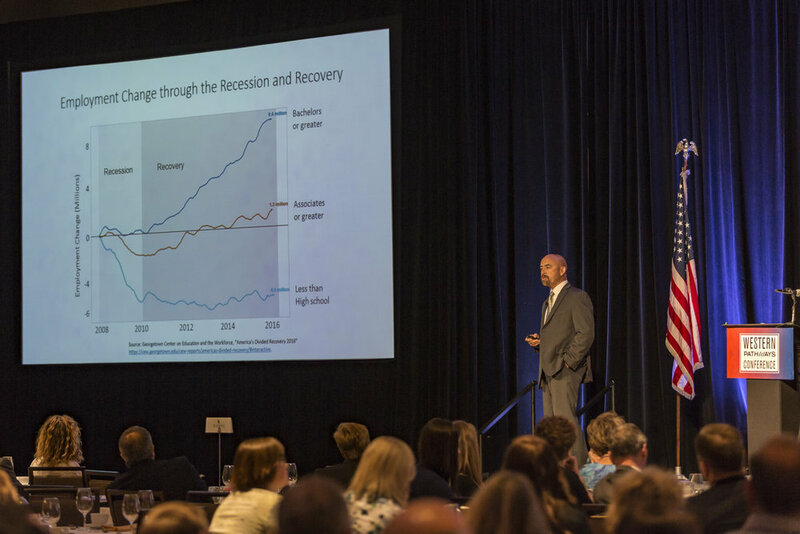 Thirty-eight states plus Washington D.C., connect data between at least two of the four core systems - early learning, K-12, postsecondary and workforce. Seventeen states plus Washington D.C., have a full P20W system - a data system that connects data from all four core agencies (as defined in this comparison) across the education spectrum. For questions, contact Education Commission of the States Communications Director Amy Skinner at askinner@ecs.org or (303) 299.3609. 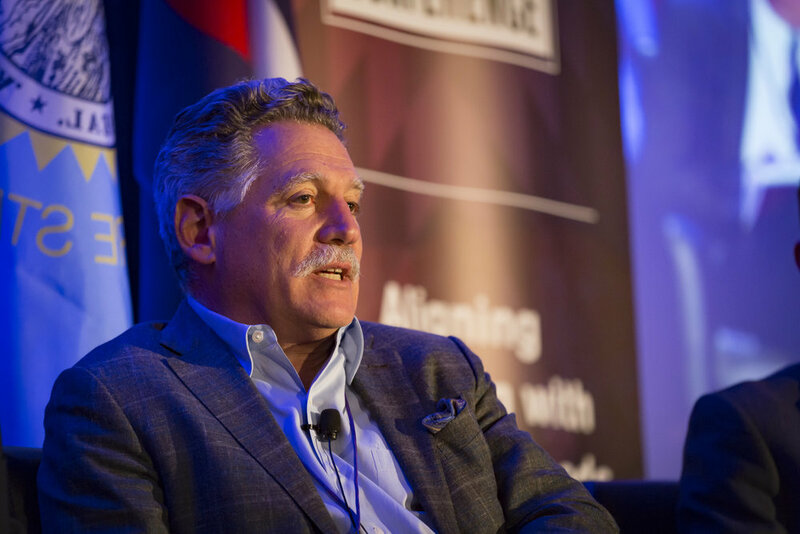 Colorado Business Roundtable recently had the opportunity to learn with Business Roundtable member and global innovation leader IBM at a variety of events supporting STEM education in Colorado. You can catch our interview with Stanley Litow, Vice President of Corporate Citizenship and Corporate Affairs at IBM, on Connect & Collaborate radio/podcast on November 1! International Business Machines Corporation (IBM) is the largest technology and consulting employer in the world. 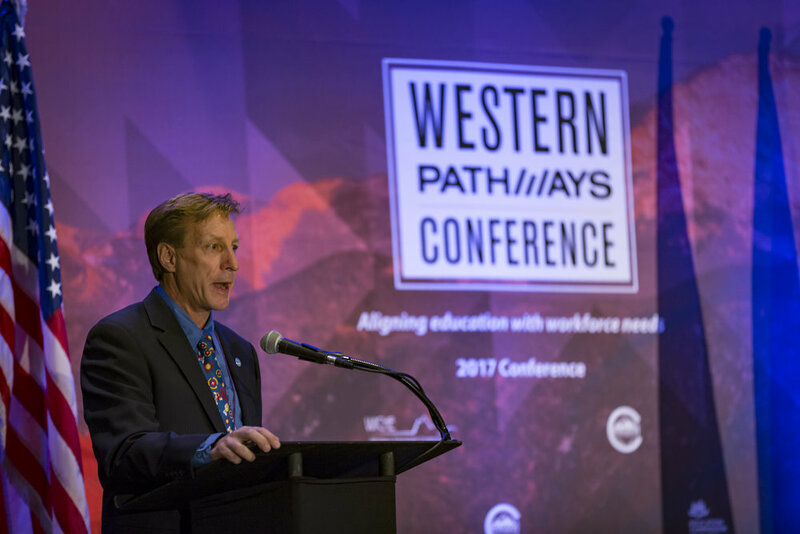 It co-developed the “Pathways in Technology Early College High School” (P-TECH) school model in which public school students can earn an associate degree in a Science, Technology, Engineering, or Math (STEM) field in addition to high school diplomas. They also develop workplace skills through mentoring and internships. In just five years since the first P-TECH school launched, there are now at least 60 P-TECH schools in six states around the country, with three of the newest here in Colorado. In January 2016, the Colorado Department of Higher Education and Colorado Department of Education approved one in St. Vrain Valley School District and another in El Paso County School District 49. Shortly after, a third Colorado P-TECH school was announced for Northglenn High School (Adams 12). A key element of the P-TECH model is public-private partnership, which is an opportunity for business to shape the workforce it needs. As a co-developer of the model and a longtime employment leader in the area, IBM is in partnership with St. Vrain Valley School District and Front Range Community College. 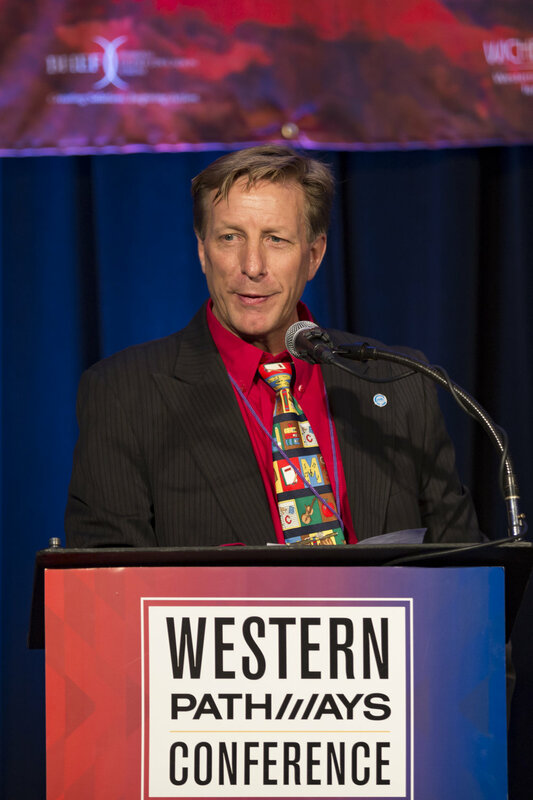 Last week, IBM hosted two special events for students and supporters, the St. Vrain Valley Schools’ P-TECH Program Mentoring Event and the 2016 Innovation Gala. The mentoring event on October 21, 2016 invited students to "join district and IBM leaders for a morning of engaging presentations and project-based learning activities that are preparing students for 21st century careers in computer information systems." As the photos show, this event was designed for district and IBM mentors to meet the students they are mentoring and together complete a mentor-student project. Later, it was on to the first-ever Innovation Gala. Key note speakers for the evening were Colorado Lieutenant Governor, Donna Lynne, and the Vice President of Corporate and Citizenship Affairs at IBM, Stanley S. Litow. Litow also spoke at the mentoring event. Students from the Innovation Center and St. Vrain's P-­TECH program also participated in a panel to discuss the value of an education in St. Vrain Valley and answer audience questions about the impact of P-­TECH and Innovation in their day-to-day lives. Proceeds from the Innovation Gala will be directed to the Education Foundation of St. Vrain Valley's general fund which is used to impact the students, educators and the community of St. Vrain Valley. For more information on P-TECH, visit www.ptech.org. IBM developed a free website to help school districts, higher education institutions, and businesses expand the P-TECH model. Visit the Colorado Department of Higher Education's P-TECH page. P-TECH is one of Colorado Succeeds' Lead Initiatives. The Latino Leadership Institute at DU has reached a splendid achievement in establishing an homage to the Latino leaders who have made significant contributions to the State of Colorado for centuries. The Colorado Latino Hall of Fame's first members were inducted Tuesday evening, October 18, 2016. 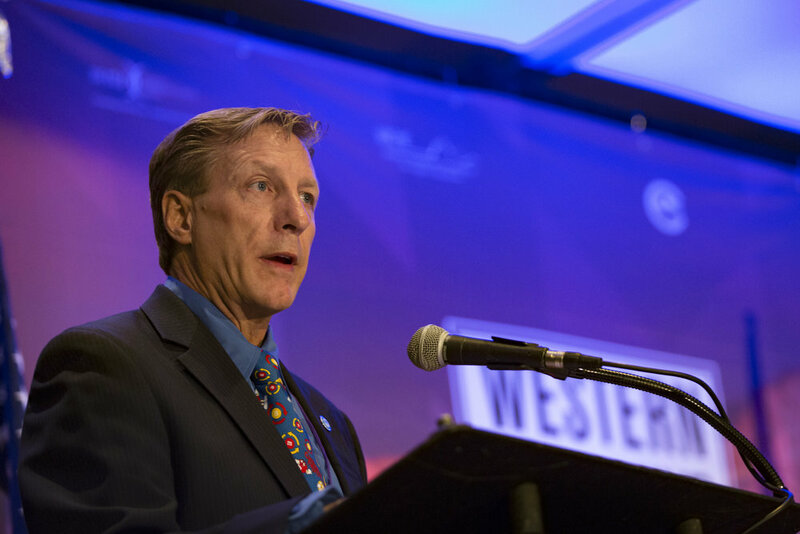 The evening provided many highlights, first as Governor John Hickenlooper marveled at the great leaders to be inducted, including honorable Federico Peña. Hickenlooper said, "There has not been anyone of any ethnicity, who has done more for Colorado than Federico Peña." As the awards were presented, we learned more about each inductee through video tributes, In one, Dr. Joe Vigil, honored for his seven decade coaching career and as the professor of altitude training said, "I was only coaching human performance, I became a mentor." Federico Peña acknowledged, "I was able to see the value of my work every day, and that was very rewarding." After honoring all six inaugural inductees, Joelle Martinez, Executive Director of the Latino Leadership Institute, spoke of the inspiration in her own family. She was specifically inspired by her grandmother, Ramona Martinez, who served as the first Latina President of the Denver City Council. She quoted, "It's important to be the first but our real obligation as leaders is to ensure that we are not the last." Joelle lives up to those words through her work with the LLI and the Colorado Latino Hall of Fame. There may be Latino Halls of Fame in other states, but none are backed by a program like the Latino Leadership Institute, which promotes Latino representation in leadership roles. The Institute is a rigorous nine-month certificate program for professional and executive Latinos. The Institute is supported by the University of Denver, which helps to offer a robust curriculum and practical application for the LLI Fellows, where they receive instruction in business, government, civic and non-profit leadership. In December 2015, the Institute graduated 19 fellows, thus far two-thirds of that Alumni have been promoted or appointed to a leadership position. There are currently two cohorts of Fellows in the program, and applications are being accepted for the Winter 2017 Cohort. Most inspiring was seeing both the graduated and current Fellows line the stage at the end of the evening. These Fellows represent the future of Colorado's Latino Leaders, and the mind races to consider what they will accomplish in coming years. 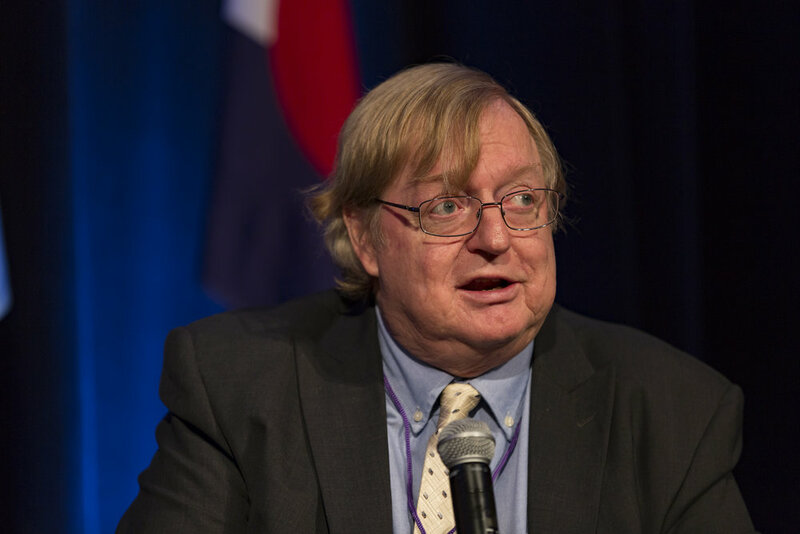 University of Colorado Boulder Professor of Distinction Keith Maskus has been named the U.S. Department of State chief economist. Maskus, who was the director of CU Boulder’s Program on International Development, is beginning the two-year appointment, based in the District of Columbia, this month. Established in 2010 to integrate more economics research data and expertise into State Department issues, the position involves research and policy development, as well as presentations at venues around the world. The Office of the Chief Economist is an analytical resource not only for the State Department, but also for embassies and consulates overseas. It also supports foreign service officers in building the networks and experiences needed to advance U.S. economic and commercial goals, according to the State Department website. 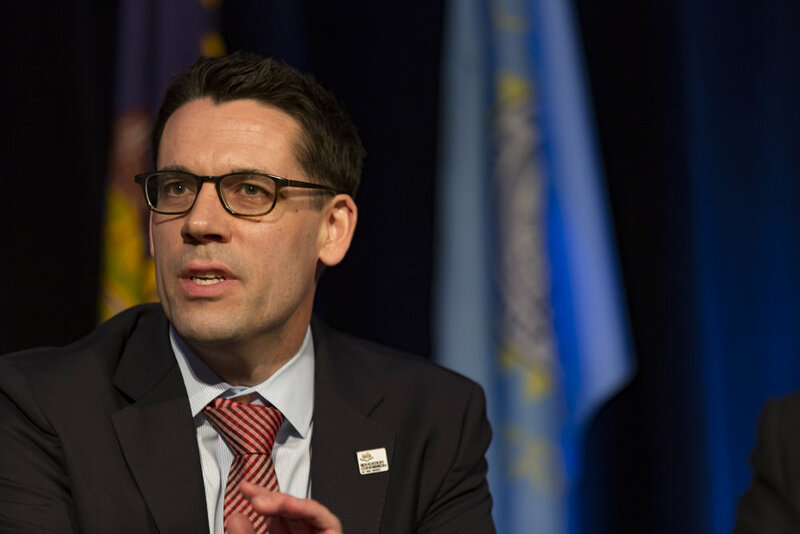 Reporting through the undersecretary for economic growth, energy and the environment to the secretary of state, Maskus will provide strategic advice and analysis on emerging economic issues. This includes priority issues where economics and foreign policy intersect, as well as researching long-term global trends with economic foundations. Maskus has held research fellowships, visiting scholar, adjunct professor and other positions everywhere from the University of Adelaide in Australia to the University of Bocconi in Milan, Italy, the University of Munich in Germany and Peking University in China. He also has served as a consultant for the World Bank and the World Intellectual Property Organization. Maskus has written extensively about various aspects of international trade and foreign investment, among other topics. His current research focuses on the international economic aspects of protecting intellectual property rights. He received both his doctoral and master’s degrees in economics from the University of Michigan. He received his bachelor’s degree in economics and mathematics from Knox College in Galesburg, Illinois. level social or analytical skills, while physical or manual skills are fading in importance, according to a new Pew Research Center survey conducted in association with the Markle Foundation. Not coincidentally, an analysis of government jobs data finds that employment is rising faster in jobs calling for greater preparation. The number of workers in occupations requiring average to above-average education, training and experience increased 68% from 1980 to 2015. This was more than double the 31% increase in employment in jobs requiring below-average education, training and experience. For their part, the vast majority of U.S. workers say that new skills and training may hold the key to their future job success. New survey data find that 54% of adults in the labor force say it will be essential for them to get training and develop new skills throughout their work life in order to keep up with changes in the workplace, and another 33% say it will be important to do so. Workers are acting on this belief, with 45% saying they’ve taken a class or received training in the past year to learn, maintain or improve their work skills. 60% believe public K-12 schools should bear a lot of responsibility for this. Smaller shares say colleges and universities (52%), employers (49%), state governments (40%) and the federal government (35%) should have a lot of responsibility. A majority of Americans (65%) say that good jobs are difficult to find where they live, but views of the situation have improved since the height of the Great Recession. However, on the whole, American workers are generally satisfied with their own jobs: 49% of American workers say they are very satisfied with their current job, while three-in-ten are somewhat satisfied. And most Americans overall feel their own jobs are secure; 60% of employed Americans say it is not at all likely that they will lose their job or be laid off in the next 12 months. The earnings of workers overall have stagnated since 1980, lagging behind gains in labor productivity. Moreover, smaller shares of workers received health or retirement benefits from their employers in 2015 than did in 1980. More recently, alternative employment arrangements, such as contract work, on-call work and temporary help agencies, appear to be on the rise. As they look at the future, large numbers of Americans believe the demands on workers will intensify and job security will diminish in the coming 20 to 30 years. Roughly seven-in-ten Americans (71%) say that workers will have to improve their skills more often in the future in order to keep up with job-related developments. About half (51%) think there will be less job security in 20 to 30 years, and a plurality (44%) believes employee benefits will not be as good in the future. When it comes to worker loyalty, 43% say employees will show less loyalty to their employers in the future, while an identical share believe the current levels of loyalty will prevail. 3,096 employed adults), examines trends in the labor market and how they are playing out in the lives of American workers. Americans see outsourcing jobs and imports of foreign goods as the greatest harms to U.S. workers, but they believe exporting more U.S. products abroad helps U.S. workers. As they assess the factors that may be hurting U.S. workers, 80% say outsourcing hurts American workers, and 77% say the same about more foreign-made products being sold in the U.S. Many also cite the increased use of contract and temporary workers (57%) and the decline of union membership (49%) as harmful factors. The impact of immigrants and automation draw more evenly divided verdicts. On the other end of the spectrum, majorities think exports of U.S.-made products (68%) and work-enhancing technology such as the internet and email (70%) help U.S. workers. Americans are less worried about immigrants’ impact on jobs than they were a decade ago. Today, 45% of adults say that the growing number of immigrants working in the U.S. hurts workers, and 42% say having more immigrants helps workers. This is a noteworthy change from 2006, when there was a nearly two-to-one view that the growing number of immigrants hurts U.S. workers (55% vs. 28% who said immigrants help workers). Democrats, blacks and those with less than a high school diploma are all notably more likely now than in 2006 to think the growing number of immigrants helps workers. The shifting demand for skills in the modern workplace may be working to the benefit of women. Women, who represent 47% of the overall workforce, make up the majority of workers in jobs where social or analytical skills are relatively more important. Wages are rising much faster in those jobs, which has likely contributed to the shrinking of the gender pay gap from 1980 to 2015. People have been staying at their jobs longer in recent years. In 2014, about half of workers (51%) had worked for their current employer five years or more, compared with 46% of workers in 1996. Educational attainment is a clear and consistent marker when it comes to feelings about job security and future prospects. While 39% of those without a high school education say it is very or fairly likely they may be laid off in the next 12 months, only 7% of those with a bachelor’s degree or more say the same. Those with lower levels of education also are more likely to feel their current skills are insufficient for career advancement and to think there are not good jobs locally. Americans have somewhat mixed attitudes about the effectiveness of traditional higher education institutions. While many college graduates describe their own experience as having a positive impact on their personal and professional development, just 16% of all Americans think that a four-year degree prepares students “very well” for a well-paying job in today’s economy. An additional 51% say this type of degree prepares students “somewhat well” for the workplace. You can read the report online at https://www.markle.org/stateofamericanjobs or http://www.pewsocialtrends.org/2016/10/06/the-state-of-american-jobs. Pew Research Center is a nonpartisan fact tank that informs the public about the issues, attitudes and trends shaping America and the world. It does not take policy positions. The Center is a subsidiary of The Pew Charitable Trusts, its primary funder. Subscribe to the Center’s daily and weekly email newsletters or follow its Fact Tank blog. The Markle Foundation works to realize the potential of information technology as a breakthrough tool for some of the nation’s most challenging problems. It leads a broad collaboration to Rework America to create good jobs and prepare people for today’s rapidly changing digital economy. Markle's Skillful initiative is returning economic opportunities to Americans without a college diploma. For more information, visit markle.org, skillful.com and follow @MarkleFdn on Twitter.